The paddle steamer 'Countess of Erne' - a ship that sank in Portland harbour after hitting the breakwater. As featured in the December issue of Dive magazine - a diver/wreck shot of the paddle steamer, Countess of Erne. The ship sunk in Portland harbour after hitting the breakwater. She now lies in about 15 metres of water. 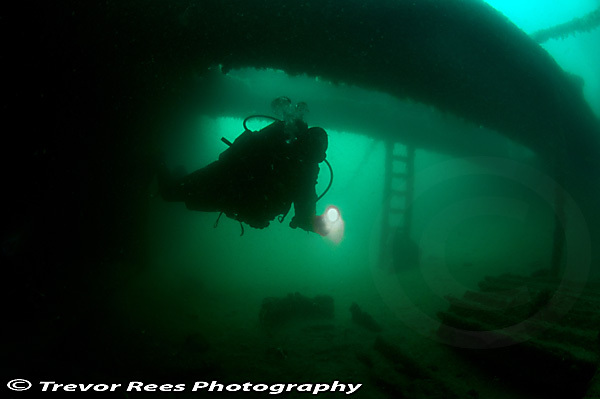 The picture is used to illustrate an article on UK wreck dives(written by Jo Mattock).